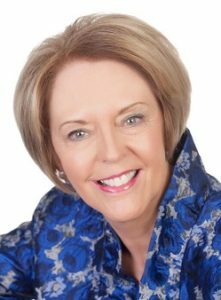 I am a professional marriage celebrant, authorised to perform marriage ceremonies under the laws of the Commonwealth of Australia. 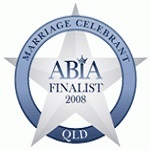 I have been a marriage celebrant since 2005 and during that time have officiated at over 700 weddings to date. 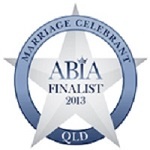 I am a member of a Professional Association, Australian Marriage Celebrants Inc. My membership ensures I am kept up to date with any changes in marriage legislation and regulations pertaining to marriage celebrants. The Association’s forum also keeps me up to date with the latest trends in marriage ceremonies. 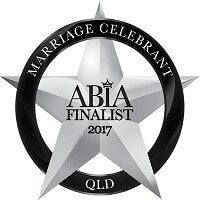 I have been a finalist in the Australian Bridal Industry Academy (ABIA) Awards every year since 2008, the year I joined the academy. 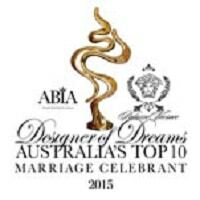 Voting for this award is by couples whose marriage I have performed the 12 months prior. I was awarded Queensland Marriage Celebrant of the Year in 2014/15 by the Australian Bridal Industry Academy (ABIA). I really enjoy working with couples to achieve a common goal and would love the opportunity to create a unique and memorable marriage ceremony for you. You can choose from the wide range of wedding readings, poems and marriage vows I have, you can source some yourself or you can write your own. I am passionate about working with you to create a wedding ceremony that reflects your special style and unique personality – your very own ceremony celebrating your special day in your special way. Of course, developing the marriage ceremony is only half the fun! On the day, you want to be moved by the ceremony and you want your friends and family to witness “a beautiful wedding ceremony”. My hobby is Toastmasters. I am a Distinguished Toastmaster – the highest qualification awarded by Toastmasters International. My ceremonies are exquisitely presented. I conduct marriage ceremonies throughout the Redlands, Brisbane, Moreton, Toowoomba, Gold Coast and Sunshine Coast areas. To discuss your special day with Gwen, call her on 0403 164 279 today! Thank you for making our wedding day so special. Your professionalism, warmth, humour and enthusiasm made us feel relaxed and confident that you would help us create a memorable and special day. You provided a seamless experience and, on the day, delivered with heartfelt warmth and your wonderful personal touch. We are so grateful to you and will always look back with happiness on our perfect wedding day.Thank you again for all your help and thoughtfulness. Everyone commented on how wonderful you are! 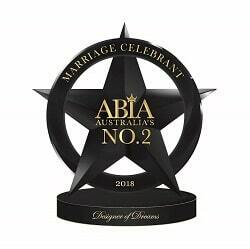 During my career as a wedding celebrant in Brisbane I have been very honored with many Awards, recognizing Marriage Celebrants. 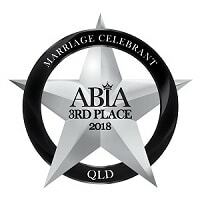 There are not only awards for Marriage Celebrants in Queensland, but I have also been placed in the Top 10 or Top 3 of Marriage Celebrants for Australia. 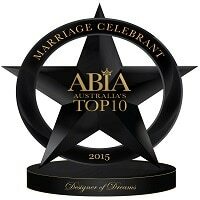 These awards are based on feedback from couples during the year, so for us a Celebrants they are very important.